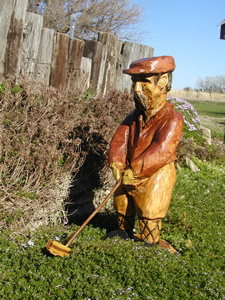 Carved in wood likenesses are a unique way to decorate your home, entryway, landscape or business. Fireman, clowns, Natives, trappers and other types of sculptures are carved with a chainsaw by artisan Randy Erb. 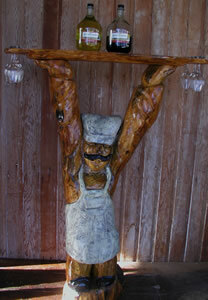 Make a unique statement with a sculpture by Randy and Mary Erb.